“You! 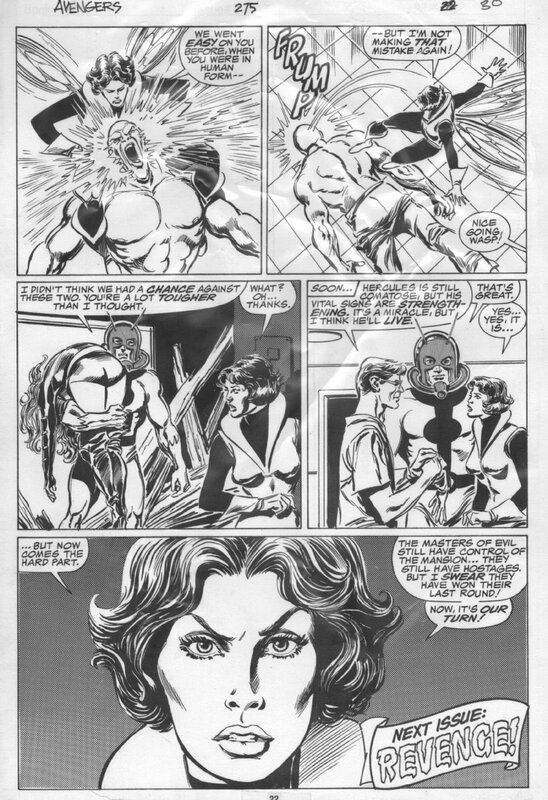 If you think I’m going to waste my Maybelline Ultra-Lash on on a half-pint husband – Dream on, Hank Pym, dream on!” I feel that sums up the sass of the character that holds this week’s title of Supercalifragalisticwomanincomicsyay. Oh, that’s not the name of the column? Why the hell not, that title is way better! Anyway, this week I’m talking about The Wasp. 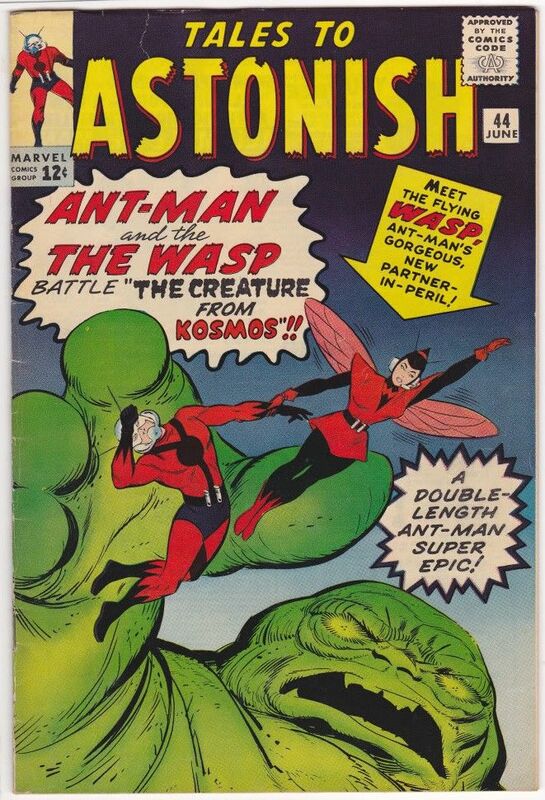 We first meet Janet van Dyne in Tales to Astonish #44 in 1963. At the beginning of her career, she was a very different woman than the one we know today. Flighty and spoiled, she was in no way a bad person, but had the luxury of living off her father’s fortune. When her father was fridged (sweet flaming lollipops, I love role reversal), Janet had a man named Hank Pym, whom I’m told is someone important, do a biochemical process which gave her the power to shrink to the size of the creature she is named for. He also implanted her with some pretty spiffy wings to complete the look. She also got some nice wrist devices that allowed her the power of “wasp stings”, because being a wasp without that ability would just be downright silly. 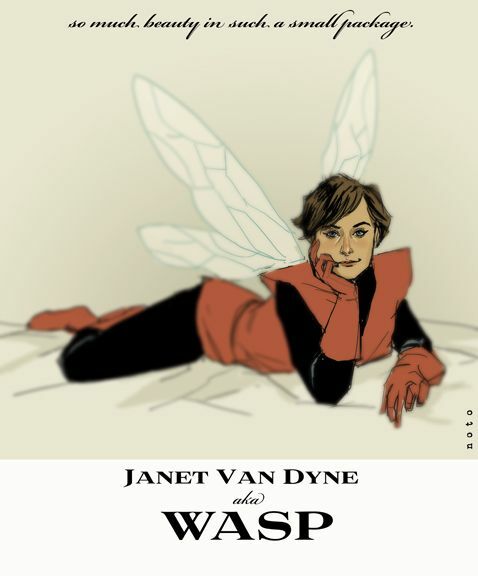 Janet became a crime fighter, avenging her father and starting the metamorphosis that would eventually turn her into the somewhat blasé fighter into a focused leader. Perhaps the biggest feat in her career is that fact that she proposed the idea of, and named, the Avengers. Easily the most underpowered of the team, Jan relies heavily on a witty and outgoing personality, as well as an inconceivably sharp intuition, to make up for what she lacks in the superpowers department. She also discovered a popsicle-esque Captain America alongside some other founders of the Avengers. Not like he was edible or anything, unless you’re into cannibalism, but he was still frozen from the war. The Wasp was created by Jack Kirby and Stan Lee, and has some of the best style out of any comic book character in my opinion. She did have a skill for fashion design, after all. Also, if you want to see a damn beautiful cover, check out Avengers vol.3 #71. J.G. Jones does a gorgeous rendition of her, and it is still one of my favorite covers evereverever. Anyway, Jan eventually marries Hank Pym, who had a terrible record of mental breakdowns and turning into various people, no big deal. But hey, love is love, I guess? During one such breakdown, he was attempting to take down the Avengers, and it was the Wasp herself who stopped him. This is a far cry from the once carefree crime fighter, as she had become an actual dictionary definition of a hero at this point. During Hank’s fourth breakdown (I checked the number to make sure), he actually lashed out and hit The Wasp when she protested against him attacking the Avengers mansion by method of giant robot. Now that’s pretty sick of him, but Jan is the one who actually foils his plan and takes down the robot, saving the day again. After which, she starts the process of getting a divorce from Pym. This is incredibly strong of her both as a woman and as a leader, and really shows how far she’s come into the evolution of the hero she is today. Leading by example, she truly is a symbol of strength. Jan leads the Avengers at different times throughout the years. In fact, the number of women outnumbers the number of men on the team for the first time in history under her leadership. Why is it that we often forget about this character, when everyone knows the Avengers? She has been at the core of the team for a majority of its existence, after all. So what gives? 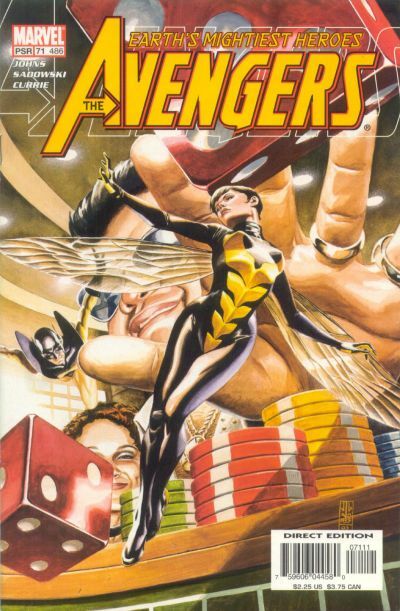 A highly underestimated character, and The Wasp is a force to be reckoned with. She is not only a versatile character, but one that has evolved throughout the years. I highly recommend everyone to look at her a little more closely and really see what this character has done for comics, because I guarantee it’s a lot more than most people think. Nice write up. Love these articles. Nice bio round-up. Knew she was a part of the avengers and a core member, but had no idea about the rocky situation with Pym. Knew very little about Wasp, until now. Thanks! I love that Avengers #71 and grabbed one copy about a month ago. Very nice article!